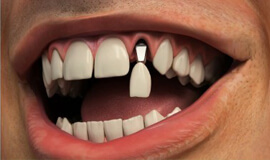 If you've chipped or broken a tooth as a result of an accident or an injury, it can be a traumatic experience. It's very important that you see a dentist immediately, even if the tooth is just slightly chipped. And if you have knocked out a tooth or several teeth, the sooner you are seen by a dental professional the better because there is a chance that the teeth could be re-implanted, depending on the severity of your injury. It's very important that you keep the knocked out tooth clean and avoid handling the root. In some cases you may be able to put the tooth back into the socket by biting down on a clean paper towel for around 15-20 minutes. If you have a chipped tooth then your dentist may be able to smooth down the uneven edge and replace the missing part with a tooth-coloured filling. If you break a back molar then this may have to be replaced with a crown. 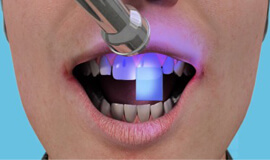 If you require an emergency dental treatment, you should ask to see a dentist as soon as possible. At our practice we offer a same day service for all dental emergencies from toothache to lost or broken crowns, chipped teeth and fillings to abscesses, trauma, avulsed teeth and a swollen face. We can take care of your injuries to ensure you heal quicker and more effectively, so you avoid additional dental problems in the future. Copyright © Bromley Dental Practice. All Rights Reserved.